It has been a proud week for India and Indians around. After years of deliberation and months of hardwork, India’s Indian Space Research Organization(ISRO) announced earlier this week the successful entry of its Mars Orbiter, commonly known as Mangalyaan, into the orbit of Mars. Here are fifteen facts about Mangalyaan that are sure to surprise and fascinate everyone. 1. Cheapest Mars Mission till date – United States’ NASA’s Mars Orbiter Mission, Maven, cost $671 million, while Europen Space Agency’s MArs Express Orbiter cost $286 million. On the other hand, the failed Mars missions of Japan and Russia cost $189 and $117 million respectively. India’s Mangalyaan, however, cost a mere $74 million, making it the cheapest Mars mission till date, even cheaper than Hollywood movies! 2. Pronounced success in the first attempt – India is proud to be the only country till date to be successful in placing a spacecraft in the Red planet’s orbit in the first attempt, an event definitely to be marked in future history books! 3. Proud first Asian nation to reach Mars – Japan and Russia maybe emerging superpowers from Asia. But India is technologically and intellectually much ahead of these, as proved by Mars Orbiter Mission. India can now be called the first Asian nation to study the components and characteristics of the Red Planet. 4. MOM – a creation of ‘Desi’ ingredients – India does not need technology from United States or manpower from China to launch a successful Mars mission. Every scientific instrument, technology, manpower and other ingredients in MOM is purely and completely indigenious and ‘desi’ in nature. This has not just helped India proves its intellectual capabilities, but has also helped in reducing the cost of the mission drastically. 5. Hohmann Transfer Orbit helps Mangalyaan – Hohmann Transfer Orbit is a phenomenon that occurs every 26 months, which reduces the distance between the two planets, namely Earth and Mars. This has been of great help for ISRO to create a cheaper, yet successful, mission to Mars. The next time this phenomenon will be witnessed is in 2016 and 2018 and ISRO has already decided to take complete advantage of that orbit too, by designing another Mars mission then. 6. MOM developed in 15 months – The project was approved by the Government in August 2012. This gave ISRO very little time to create the spacecraft and go ahead with the project, considering they wanted to take full advantage of the Hohmann Transfer Orbit. In exactly a year, ISRO announced the Mars Mission and the spacecraft, carrying Mangalyaan, took off on November 5th 2013. 7. MOM travelled more than 70,000 times between Jammu and Kashmir and Kanyakumari – Mars is at an average distance of 24,92,09,300 km from Earth. The distance between Jammu and Kashmir and Kanyakumari is 3,369 km. So, if we calculate, it can be easily said that Mangalyaan made more than 70,000 trips between Jammu and Kashmir and Kanyakumari. 8. Mangalyaan carries five solar-powered instruments along with it – MOM, or Mars Orbiter Mission, includes five indigenious instruments along with it. These five instruments include a photometer, a methane sensor, an instrument to analyse the Martian exosphere, a thermal infrared spectrometer and a colour camera. 9. Mangalyaan to find out possibility of life on Mars – The secondary objective of MOM is to understand Mars’ surface features and other atmospheric conditions. These five instruments will help Mangalyaan analyse the Red Planet and the possibility of life within it. The instruments will also determine the amount of water and methane in the Martian atmosphere, two key components to determine life. 10. 14 minutes gap between signal transmissions – ISRO received the first image of Mars 14 minutes after Mangalyaan sent it. This means that it takes a time gap of 14 minutes for any successful transmission between ISRO and the Mars Orbit and vice versa. 11. NASA‘s role vital in Mangalyaan’s success – Though the Mars Orbiter Mission has been a complete ‘desi’ or Indian mission, the constant encouragement and support received from NASA has played a crucial role in the success of Mangalyaan. 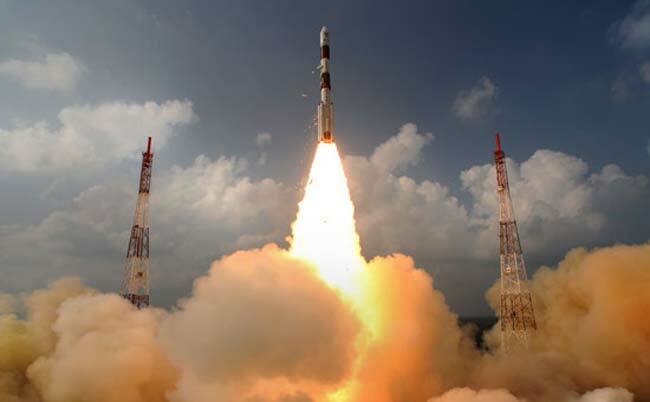 NASA also provided the mission with communication and navigation facilities in areas of the space where even India’s deep space network had no reach. 12, Mangalyaan to live for six months – The expected life spand of Mangalyaan is six months, after which it will run out of fuel and hence lose its orbit. 13. MOM a positive encouragement for future generation – The successful entry of MOM into Mars’ orbit has been an encouraging step for all future scientists and the generation as a whole. This is a letter ISRO received from a class five student, who we hope, will become big in the space Science field! 14. Mangalyaan did not make its first step towards Mars – MOM made several revolutions around Earth to attain the required velocity, after which it took off towards the Red Planet. 15. A structure similar to Chandrayaan 1 – Mangalyaan was built on the same hardware configurations as that of Chandrayaan 1, India’s first successful robotic lunar probe. However, specific improvements and upgradations were made for a Mars specific mission. So here is 1Click congratulating the entire team of ISRO and the brains behind Mangalyaan for a successful mission and for creating history yet again. However, something I just realized now was the names of the missions. Mars Orbiter Mission is now known as Mangalyaan and the first robotic lunar probe spacecraft was Chandrayaan 1. Do you notice the similarity as well? Maybe the double a’s at the end of the name is ISRO’s lucky charm! This entry was posted on September 26, 2014 by Deepthi Ramdas in 1Click Blogs, Events, From the heart, Technology and tagged facts, indigenious, ISRO, mangalyaan, Mars, Mars Orbiter Mission, MOM, NASA, Red Planet, satellite, spacecraft.